UK Stone Carving Blogs List. The Best UK Stone Carving Blogs from thousands of UK Stone Carving blogs on the web using search and social metrics. Subscribe to these websites because they are actively working to educate, inspire, and empower their readers with frequent updates and high-quality information. leeds UK About Blog Melanie Wilks, based in Dewsbury West Yorkshire is a sculptor and artist who specialises in stone carving. Read the blog to find articles on carving of stone. Facebook fans 271. Twitter followers 189. North Yorkshire, England About Blog I began carving stone after a chance encounter with masons dressing wall-stones, and was taken by the sound and rhythm of hammer on chisel, and the neat-handed skills of the quarry men at work. On the strength of this meeting I purchased my first stone working tools and my love affair with stone began. A love of wildlife and the natural world is at the core of my work, enthusing and driving a desire to capture a creature essence in simple shape and form. Facebook fans 1,533. Twitter followers 1,484. Edinburgh, Scotland About Blog Simon Burns-Cox is a Sculptor and Letter Carver based at The Edinburgh Sculpture Workshop. He works mainly in Stone and Marble and creates Interior and Exterior Garden Sculptures, Gravestones, Memorials and Headstones. He also offers all types of Stone Letter Carving for Home and Business. Facebook fans 311. Twitter followers 203. UK About Blog Teucer Wilson is one of the country's leading lettercutters and stone carvers. Read the blog to find interesting articles. Facebook fans 291. Twitter followers 137. Facebook fans 746. Twitter followers 696. England About Blog Graeme Mitcheson has been creating stone sculpture since graduating from Loughborough College of Art in 1995. Images of Graeme’s work can be found in the gallery while details of Graeme’s current projects as well as upcoming dates for stone carving courses and exhibitions can be found on his blog. Lincoln, England About Blog Stone carving courses, stonemasonry courses and letter cutting courses taught by professionally qualified Stone Mason, Eilidh Fridlington, a former Lincoln Cathedral Stonemason with 26 years of experience in architectural stonework and carving. Facebook fans 47. Twitter followers 20. 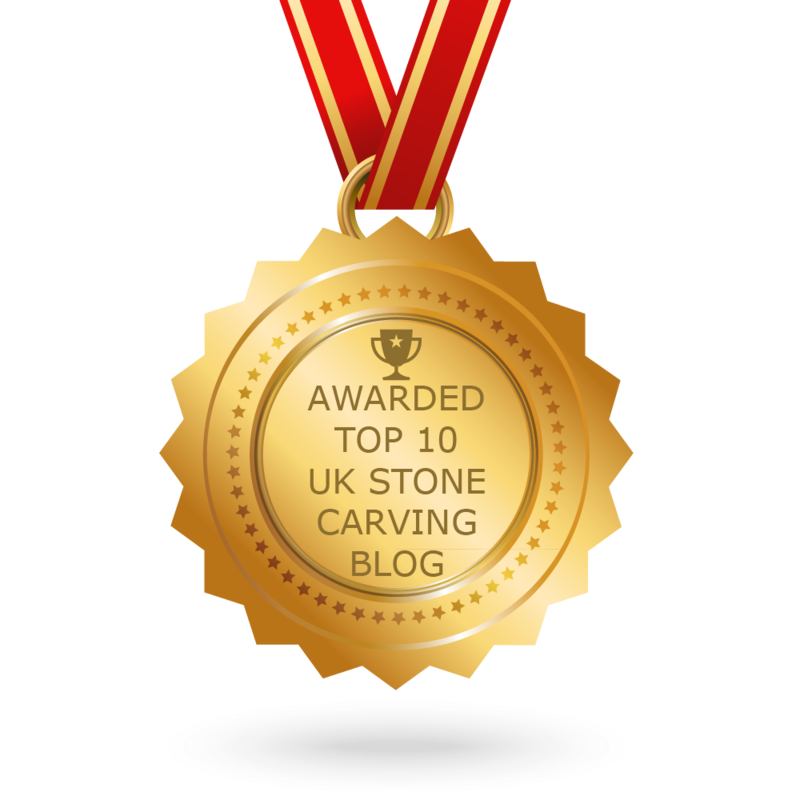 CONGRATULATIONS to every blogger that has made this Top UK Stone Carving Blogs list! This is the most comprehensive list of best UK Stone Carving blogs on the internet and I’m honoured to have you as part of this! I personally give you a high-five and want to thank you for your contribution to this world.